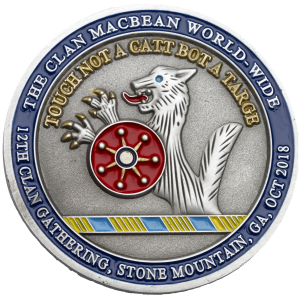 This commemorative coin was minted to celebrate the 2018 Clan Gathering at Stone Mountain. 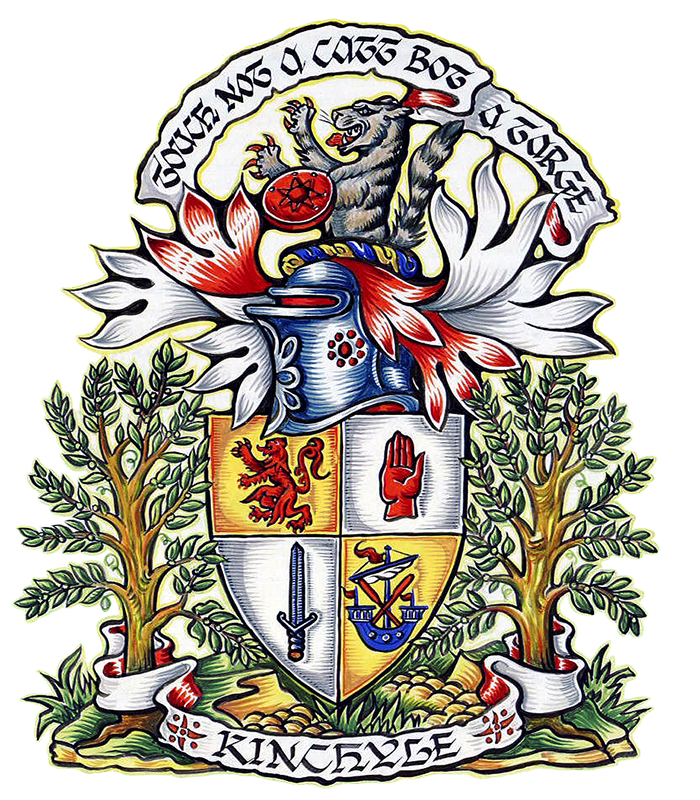 It also honors our Chief, James McBain of McBain, 22nd hereditary Chief of our clan, and displays his coat of arms on one side. 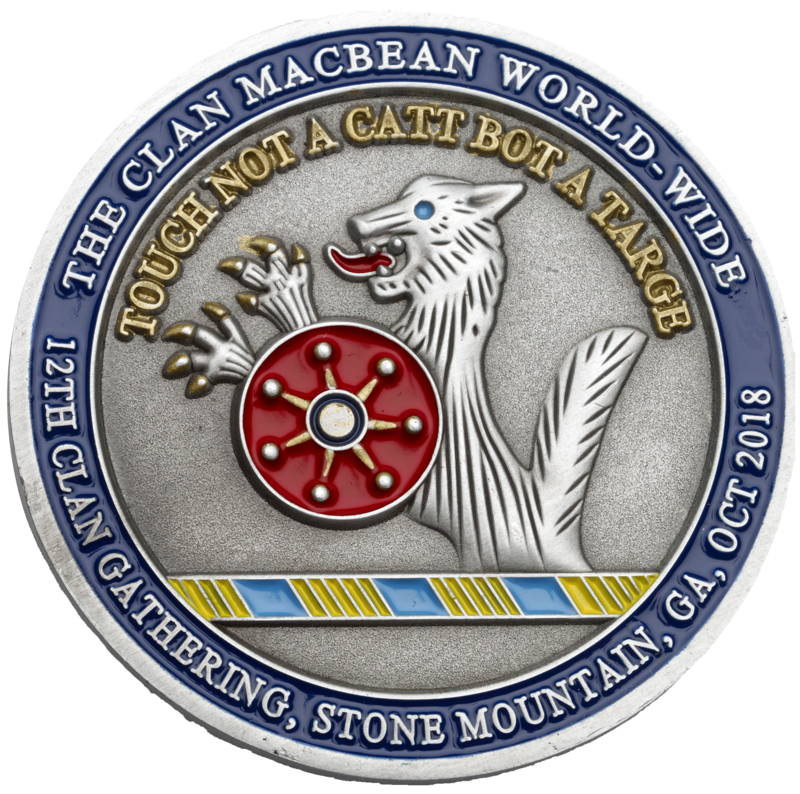 On the flip side the coin displays our Clan Cat, and our unique seven point star Targe. 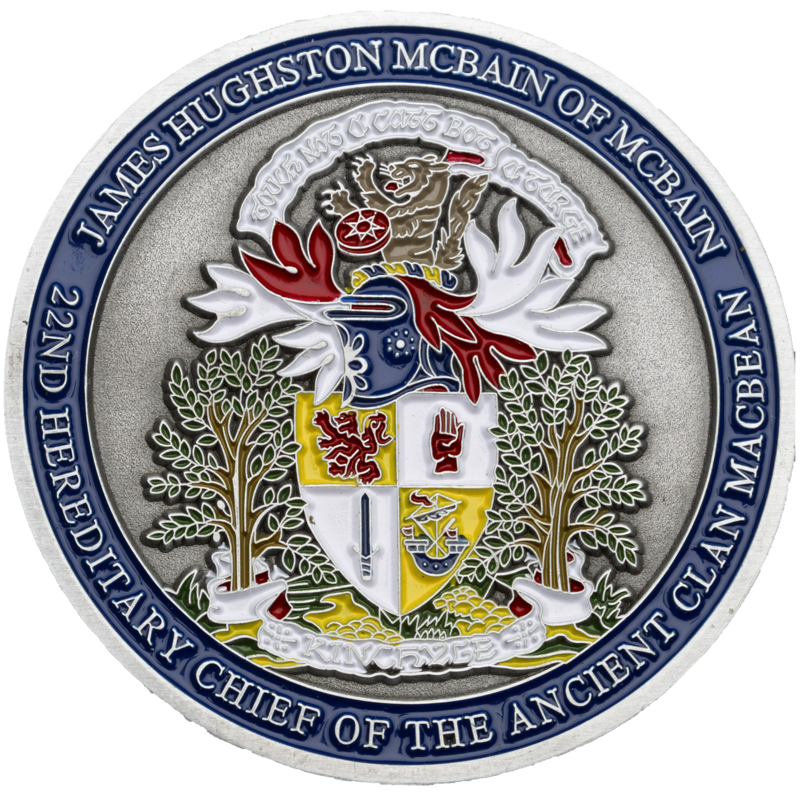 This limited edition 1.75″ coin was unveiled at the 2018 clan gathering, Please note that 5.00 dollars of your purchase will go toward McBain Park Maintenance.